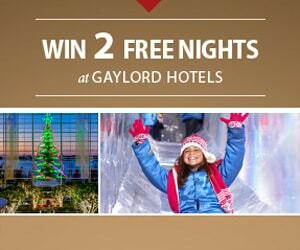 Christmas at Gaylord Hotels has officially come to a close this holiday season. We would like to extend our sincerest gratitude to all of our guests who made it one of our finest yet – and hope to see all of you again. We will soon announce what we have in store for the 2019 holiday season so you can make your holiday plans early! 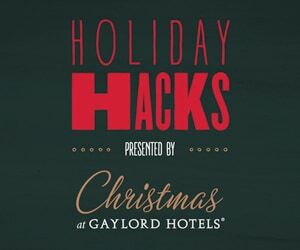 Visit any one of our four Gaylord Hotels resorts this holiday season and experience unique Christmas entertainment and magnificent décor all in one place. Your entire family can enjoy ICE!, an indoor winter wonderland featuring colorful hand-carved ice sculptures and slides standing more than two stories tall. 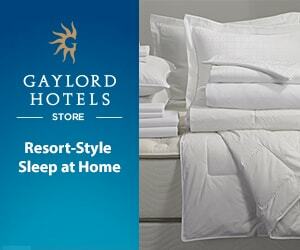 Select a Gaylord Hotels resort below and see all there is to do this holiday season. Explore 2 million pounds of colorful ice sculptures at ICE! featuring the Dr. Seuss classic How the Grinch Stole Christmas! and enjoy Breakfast with The Grinch. Back by popular demand is Cirque Dreams Holidaze. Experience A Trace Adkins Christmas featuring songs from The King’s Gift. Have some chilly fun Tubing, Ice Skating and make a new furry friend at Build-A-Bear Workshop®. Whatever you choose, the exclusive holiday events and attractions during A Country Christmas are sure to get you in the spirit of the season. Marvel at dozens of lavish holiday displays including more than 2 million twinkling lights and acres of larger-than-life decorations. Experience ICE! featuring A CHRISTMAS STORY™, Cirque Dreams Unwrapped and The Elf on The Shelf® Character Breakfast. Enjoy heartwarming visits with Santa, Snow Tubing, Gingerbread Decorating Corner, Build-A-Bear Workshop® and other exclusive holiday events to get you in the spirit of the season during Christmas at Gaylord Palms! Explore 2 million twinkling lights, 15,000 ornaments and dozens of lavish holiday displays including larger-than-life decorations. Experience ICE! featuring Rudolph the Red-Nosed Reindeer and Rudolph's Holly Jolly™ Breakfast. Enjoy Gingerbread Decorating Corner, Build-A-Bear Workshop® and Ice Skating. And, don't forget about Snow Tubing with 12 lanes of fun, as well as other exclusive holiday events and attractions to get you in the spirit of the season. It's all part of Lone Star Christmas! The Washington, D.C. area’s premier waterfront resort will once again transform into an unrivaled winter wonderland. Back this year is ICE! with a new theme – A Charlie Brown Christmas! Enjoy Breakfast with Charlie Brown™ & Friends, Build-A-Bear Workshop®, Gingerbread Decorating Corner and Ice Skating. It's all part of Christmas on the Potomac! TM & © 2018 Dr. Seuss Enterprises, L.P. All Rights Reserved. © Build-A-Bear Workshop, Inc. Used with permission. All rights reserved.